What Did Congress Really Know About NSA Tracking? : It's All Politics The White House maintains it had sufficiently briefed Congress on the Internet and phone data monitoring programs leaked last week, but many lawmakers vehemently disagree. What Did Congress Really Know About NSA Tracking? Sen. Susan Collins, R-Maine, is among the lawmakers who say they were never briefed about the government's surveillance programs. If you're a member of Congress and you didn't know about the National Security Agency's phone records program before it was disclosed last week, President Obama has this to say to you: Where have you been? "When it comes to telephone calls, every member of Congress has been briefed on this program," Obama said to reporters last Friday. The director of national intelligence, James Clapper, chimed in later: "We provided detailed briefings and papers on this to explain the law, to explain the process it was governing," he said on NBC News last Saturday. And then Monday on Fox News, Rep. Peter King, R-N.Y., who's on the House Intelligence Committee, told his colleagues to stop whining: "You know, these members of Congress who said they didn't know about it — they could have gotten a briefing whenever they wanted to." OK, so then when exactly was Congress "briefed" on these surveillance programs? Ask the White House, and it'll shoot back an email with two tidy lists. One list shows 22 briefings by date over the past 14 months on the law governing the email monitoring program. The other list shows 13 separate briefings since 2009 on the law governing the collection of phone records. Most of these classified briefings were to members of the Intelligence and Judiciary committees, but some were general sessions for the House and Senate. Still, lawmakers say getting "briefed" doesn't mean knowing what's actually going on. "It's playing with words. What does 'brief' mean?" asks Democratic Sen. Jay Rockefeller of West Virginia. Rockefeller, who is on the Senate Intelligence Committee, says he never feels adequately briefed. He remembers his days on the committee during the previous administration. "I would go up there to the White House and get briefed, and come back knowing nothing," he says. He Broke The NSA Leaks Story, But Just Who Is Glenn Greenwald? Rockefeller says in this case, he had been told about the two surveillance programs in question, but another member of the Senate Intelligence Committee — Republican Susan Collins from Maine — says she was never briefed. And don't even tell her she could have just asked more questions. "Well, how can you ask when you don't know the program exists?" Collins says. Collins just joined the Intelligence Committee this year, so maybe she would have gotten the lowdown eventually. But during the last Congress, she was the ranking member on the Homeland Security Committee, and she still never heard about either the email monitoring or phone records collection. 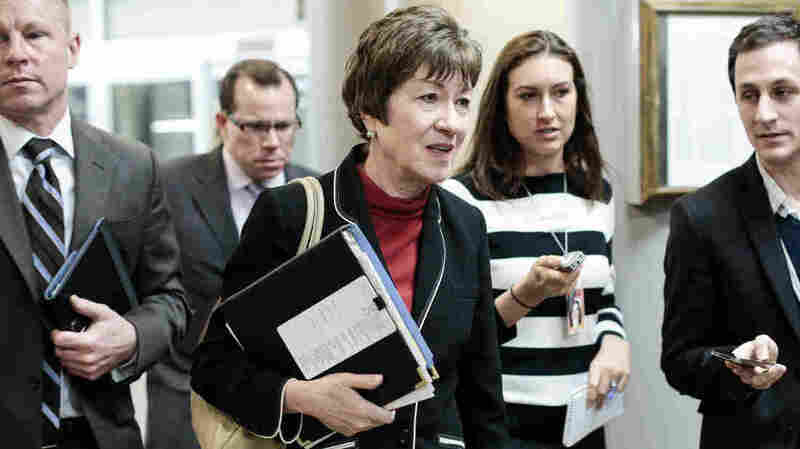 "I had, along with Joe Lieberman, a monthly threat briefing, but I did not have access to this highly compartmentalized information," Collins says. So what's a member of Congress to do? If you're not on a committee privy to this kind of national security information, how do you get informed? The White House says members of Congress could have asked to review classified reports. But here's how that would work: First, you have to know what to ask for. Then, you walk into a secure room. You can't bring your cellphone in. You can take notes, but you can't keep them with you afterward. So you're relying completely on memory by the time you walk out of that room. Rep. Keith Ellison, D-Minn., says the material is often really dense and jargony, but you can't talk to your staff about it because everything's classified. "So, if you're not familiar with the material, you got a chance to see it, but I don't think that there's a whole lot you can do with it," Ellison says. Ellison was one of many members of Congress who say they were in the dark about the programs. And yet, all of them were asked to vote on the laws that authorize this monitoring. Orin Kerr, a law professor at George Washington University, says it's "just inherently difficult to legislate in the national security area." "You want to have an open legislative process; you want the public to weigh in. On the other hand, what the government is doing is secret, and you don't want the bad guys to find out about it," he says. "So you're necessarily legislating kind of blind." Kerr says that means robust legislative oversight of national security programs is just hard to come by.